Leon Drosihn was born on 22 September 1945 in Tarrant County, Texas. At the time of his death Leon Drosihn was living in Newark, Wise County, Texas, at 175 County Road 4929. Leon Drosihn died on 15 May 2009 at age 63. He was interred at Bluebonnet Hills Memorial Park, Colleyville, Tarrant County, Texas. The following appeared on 18 May 2009 in the Fort Worth Star-Telegram: Leon Drosihn died on Friday, May 15, 2009, after battling cancer. He was 63 years old. Graveside service: 11 a.m. Wednesday in Bluebonnet Hills Memorial Park. Visitation: 6 to 8 p.m. Tuesday at Bluebonnet Hills Funeral Home. Memorials: The family requests that all donations be made to the American Cancer Society , P.O. Box 22718, Oklahoma City, Okla. 73123-1718 or the M.D. Anderson Cancer Center, 1515 Holcombe Blvd., Houston, Texas 77030. 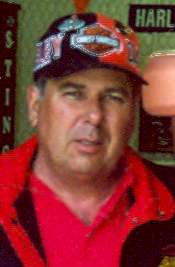 Survivors: Mr. Drosihn is survived by his wife, Barbara Drosihn of Newark; his kids, Brenda Lawless and her husband, Neal, and their kids, Megan and Austin, of Watauga, Lonnie Drosihn and his wife, Angie, and their sons, Landon and Lane, of Maryland; his sisters, Jan Chamberlain and husband, Don, of Columbus, Ohio, and Celia Himes Jr. of Cleveland, Ohio; his brother, Joe Walton and his wife, Beverly, and their kids of Little Rock, Ark.